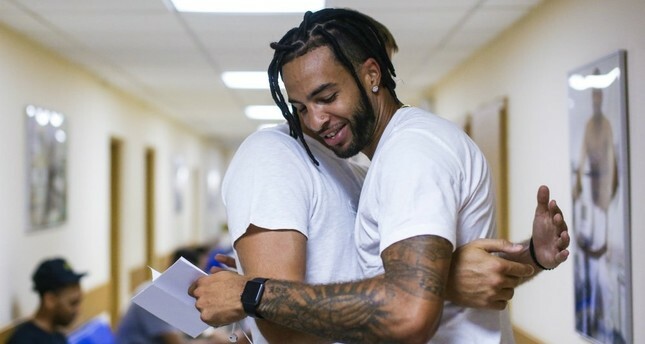 American basketball player Tyler Honeycutt, a former National Basketball Association (NBA) player who later moved into European clubs including Istanbul's Anadolu Efes, died in a shootout with the police in Los Angeles, California, his former teammates confirmed to Russian RIA Novosti agency. Allegations on 27-year-old Honeycutt's death have been circulating in social media and news outlets since early Saturday, and they are yet to be confirmed by local officials. ABC7, a local affiliate of national U.S. broadcaster ABC, reported that the mother of a former NBA and UCLA basketball player called the police and complained about her son's strange behavior. When the police arrived at the residence in Sherman Oaks area, he reportedly barricaded himself and opened fire to the police, who also responded with gunfire. The player was in his mid 20s, according to the report. An investigation has been launched into the incident. According to RIA, Honeycutt's former teammates from Moscow-based Russian basketball club Khimki confirmed his death. Honeycutt played in Khimki in 2014-15, 2015-16 and 2017-18 seasons, while signing with Efes in 2016-17 season. He was a free agent as his contract with Khimki expired at the end of the season. Honeycutt began his college career at the University of California, Los Angeles (UCLA) before moving to Sacramento Kings in 2011. He was assigned to G-league club Reno Bighorns twice and traded to Houston Rockets in 2013, and assigned to G-league club Rio Grande Valley Vipers. He then moved to Israeli club Ironi Nes Ziona in Aug. 2013, before signing with Khimki in July 2014.